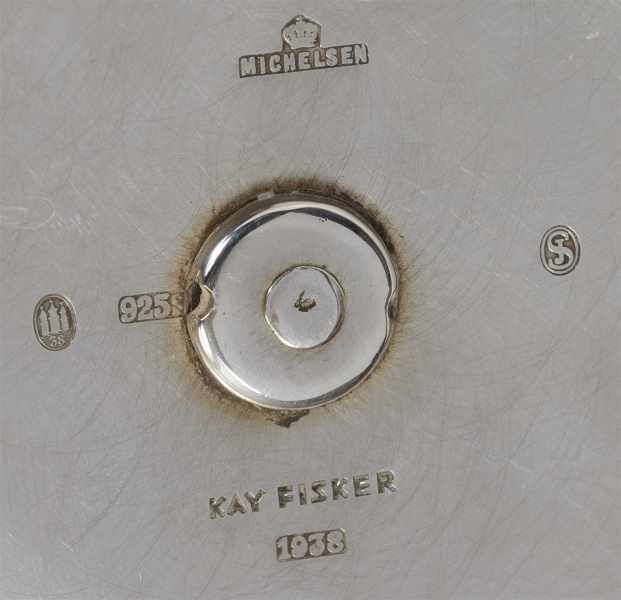 Anton Michelsen (1809-1877), born in Odense, Denmark, established one of the most important Danish jewelry families. 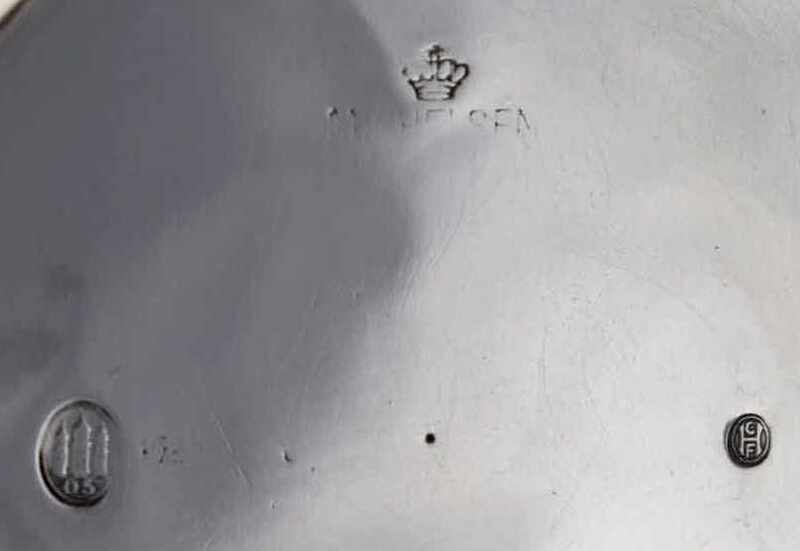 In 1830, after completing his education in Odense, he moved to Copenhagen where, during the next eleven years, he worked for various young masters. 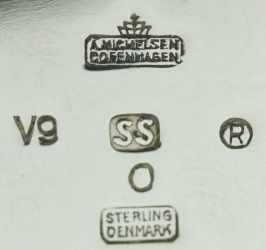 Michelsen acted as a journeyman for Jørgen Balthasar Dalhoff from 1834-35 while also taking courses at The Royal Danish Academy of Fine Arts. 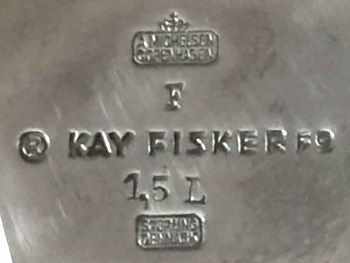 With assistance from Dalhoff, Michelsen received The Travelling Scholarship of the Reisersen Foundation. 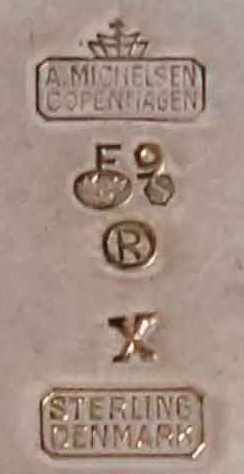 He then goes to Berlin and during the late 1830's works in several workshops including Mention & Wagner, a large, contemporary silver and gold works whose primary shop is in Paris. While working for Mention & Wagner, he learned enamelling. 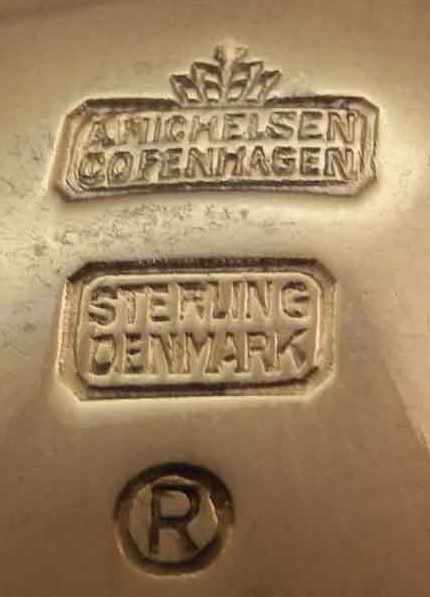 In 1841 Anton Michelsen opened his workshop in Gothersgade in Copenhagen and in 1848 was officially appointed to the Royal Danish Court as "Court Goldsmith and Maker of Orders". 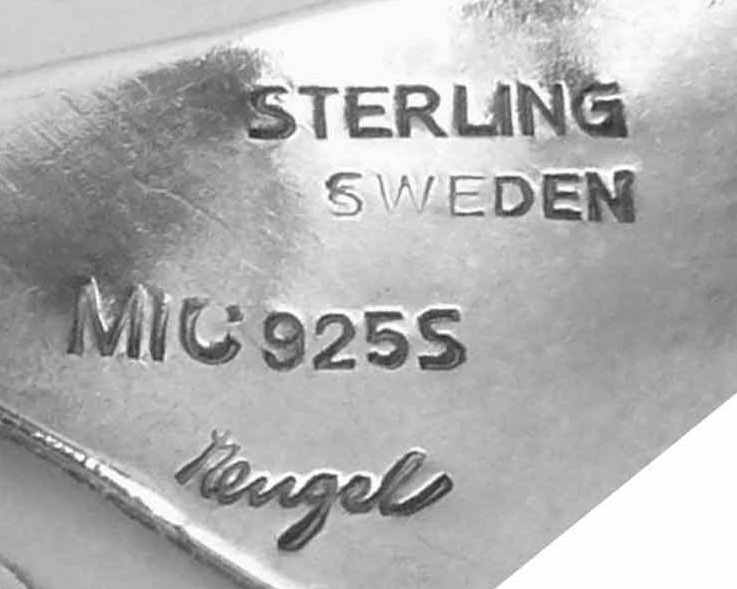 Anton Michelsen died in 1977 and his son Carl Michelsen took over the firm. 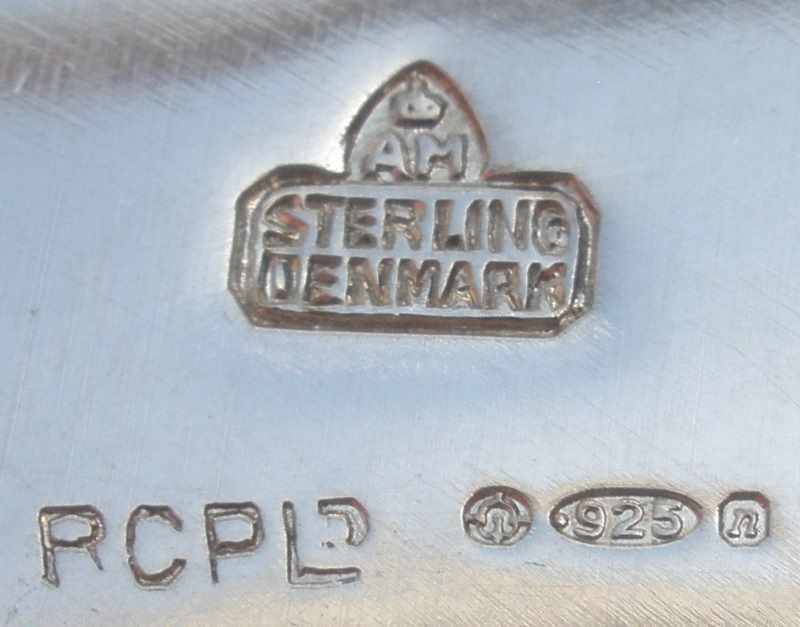 Carl became court jeweler in 1880 obtaining important commissions from Danish Court. 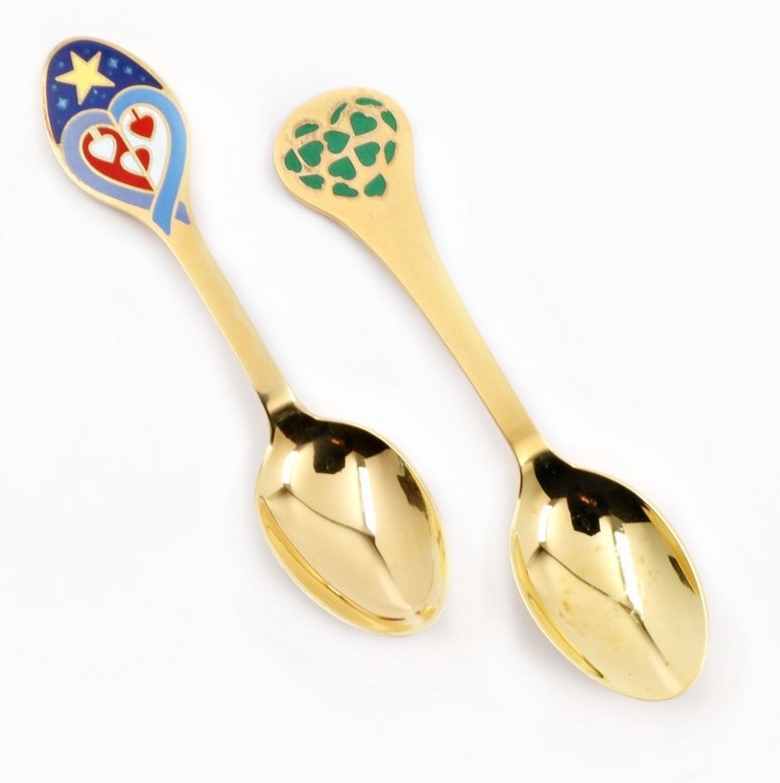 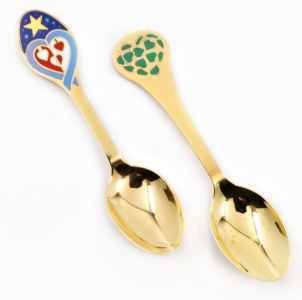 At the beginning of the 20th century Michelsen specialised and refined the art of enamelwork starting in 1910 the production of the well-known annual Christmas spoons. 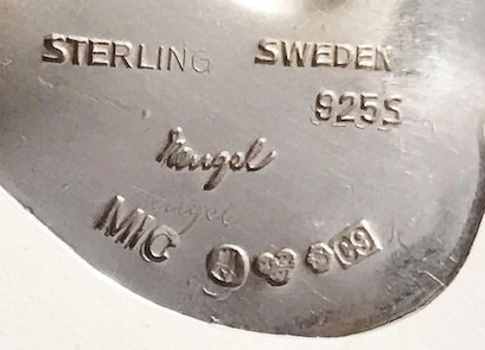 In this period Thorvald Bindesboll, Harald Slott-Moller, Georg Thylstrup, Johan Rhode and Svend Hammershoj collaborated with their designs to Michelsen workshop activity. 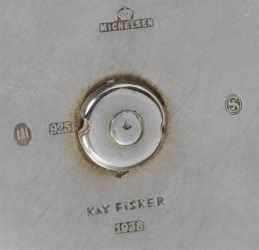 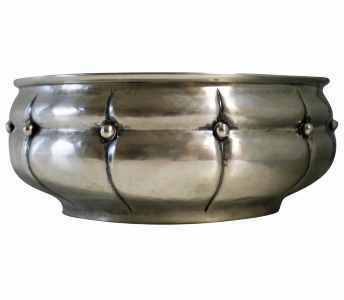 At least since 1950 Michelsen firm acknowledged its designers by stamping their signatures on each piece. 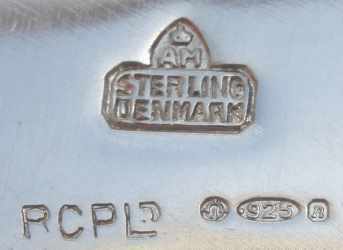 Designers of the mid and late 20th century include Karen Strand, Gertrud Engel, Eigil Jensen, Nanna & Jørgen Ditzel, Knud V Andersen, Else Alfelt and Jens Windfeld Hansen. 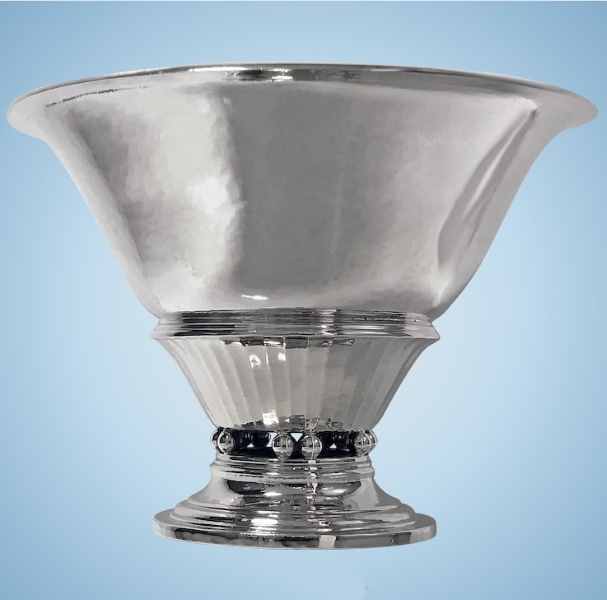 For four generations, the company made high quality silver and jewelry having, thanks to the royal court connection, the opportunities to produce spectacular, distinctive silverware. 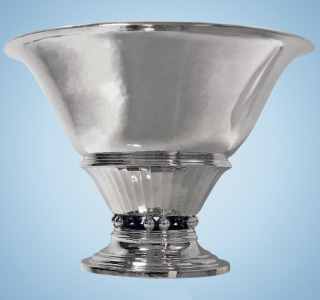 The Michelsen "dynasty" made much of the everyday silverware owned by the Royal family. Several of these items have been given to the Amalienborg Museum. 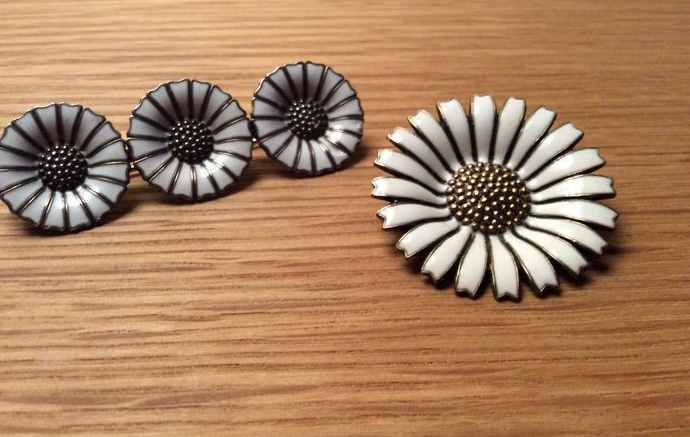 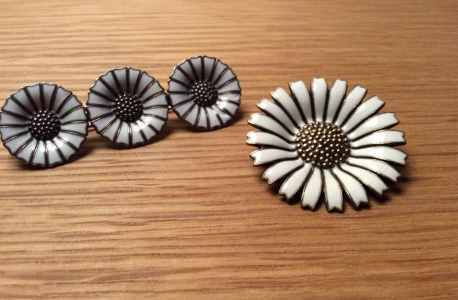 In 1968 Royal Copenhagen bought A.Michelsen factory and its silver activity was gradually merged with that of Jensen branch. 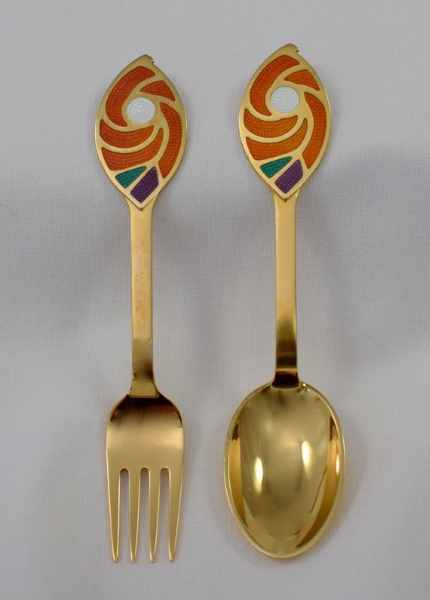 Today only the annual forks and spoons bear the Michelsen name. 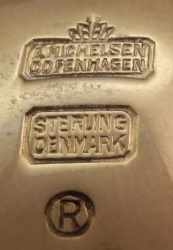 During WWII Michelsen set up a subsidiary in Sweden and for some time after. 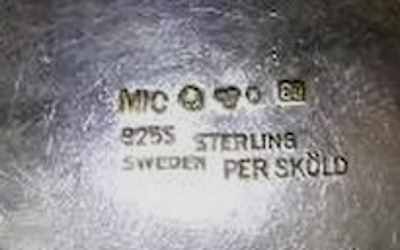 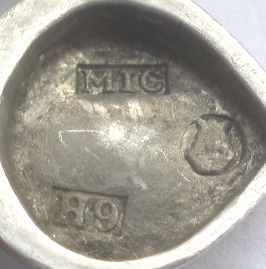 The maker's mark used for items produced in Sweden was "MIC". 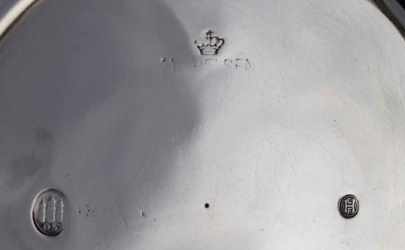 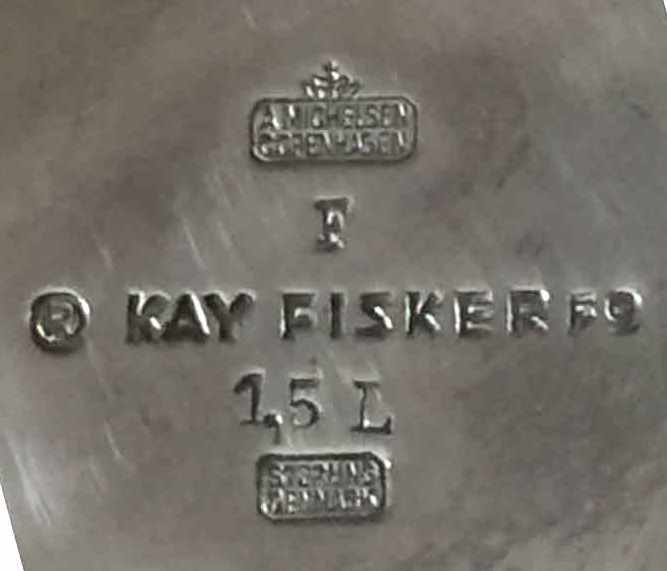 This mark is often seen on Gertrud Engel designs of the 1950s, although they were also made in Denmark.